Therapeutic exercise refers to a wide range of physical activities that focuses on restoring and maintaining strength, endurance, flexibility, stability and balance. The goal of therapeutic exercises is to return an injured patient to a fully functioning, pain-free state. They can increase a patient’s functional capabilities and prevent loss of function. If you are aiming to prevent and/or decrease impairment and disability, therapeutic exercises might be very helpful. Your overall health, fitness, and sense of well being can benefit from therapeutic exercises. Range of motion exercises aim to maintain and increase range of motion as traditional ROM exercises (passive, active and active assisted ROM exercises) and techniques of joint mobilization and soft tissue stretching. Muscle performance exercises for increasing muscle strength, power and endurance as resisted exercises and endurance exercises. Postural exercises to improve posture and correct faulty posture. 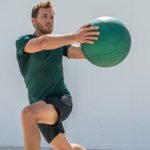 Balance and coordination exercises to improve balance and coordination. Relaxation exercises to induce relaxation. Area specific exercises such as targeted muscle groups for activities like breathing and the circulatory system. For more information, Contact Us at Orange City, FL center.